The Inazone Hefty came yesterday and I spend most of the evening messing around with it. This is my first side saddle putter so I have nothing to compare it to but here are my initial thoughts. 1. It’s higher quality than i expected. For $80 I was expecting some cheap terrible feeling putter but this thing is pretty well made. Solid feel at impact. 4. Seems difficult to get this vertical. Randy Haag seems to have his very upright and I am struggling to get into that position. Seems to lift the heel of the club too much. On a side note— is that even legal? I know that the club has to have an 80* lie angle but if you manipulate it and putt with it more vertical is that agains the rules? The videos for the GP putter show it being used almost vertical too. Randy Haag is putting with an STX, and you can easily hold that putter vertically because the sweet spot is more or less the rounded center with the bullet back. So if the heel is up in the air by 10*, it doesn't reduce the effective sweet spot in the same way that other putters do. I got an STX simply because Haag uses one; it swings really well, but it's lighter, the insert is so soft and muted that I just couldn't get much feel with it, and it was miserable on slow greens, which Randy Haag probably doesn't play. There are also on alignment aids at all. So that putter, at least to me, is sort of an outlier, and it lasted a shorter period in my bag than even the GP did. As to the issue of vertical: The rule states that the straight part of the shaft must be at least 10* off vertical, BUT goes on to say that if the design of the putter is such that it can be held vertically and still be used as intended, there MAY be a requirement for an increased angle; that would be decided on an individual basis, I believe. This was exactly what happened to Dechambeau's putter, and I knew that putter was non-conforming the second day I saw him use it after I tried what he was doing on the practice green. The heel of his putter wasn't off the ground at all, and he was holding it dead vertical. So it's a little more complicated than just the 80 degree requirement, but that's the basic idea. I know that the GP putter is conforming, but it wouldn't surprise me if that changed if somebody ever brought it out on Tour. The others, like the JP or the BG versions, I think are fine, and no different that any other putter with a curved or beveled sole. Do you not feel the Bobby Grace inserts create a muted feel? I had the original f35 and felt like the insert makes the learning curve longer when it comes to feel on distance. 1 - interesting, i'm always looking for more side saddle options, may have to give it a look. 2 - heavy is your friend on side saddling in my opinion. Had the original LFI and it was way too light once i started putting with the heavier F22. Don't be afraid to extend it too where you're standing more upright, this was a big game changer for me. I had lost a lot of confidence with the side saddle using my LFI at 44", extended out my F22 to 48ish" and its a different game standing more upright. 3 - i actually liked the Juan videos for learning the set up. straddle the line from behind, aim the putter, then step into your legal stance beside the ball, you kinda piece together the stance. With that said, for me, I really focus on the line of the putt first. I align the line on the ball exactly where I want it to go, then get behind i and step to the left of the ball and only hold the putter in my right hand, this allows it to hang straight up and down, set it down behind the ball and match the putter line to the ball line, then i grip with my top hand and take the pressure off my bottom hand, look at the hole, commit to the line, and let her go. This is personally why I hardly work on line or anything when warming up before a round, I'll just hit putts for speed because if I don't do this exact process, I'll miss plenty of putts for whatever reason. In regards to the 4th, this has been argued either here or other threads (I can't remember), but yes the approach is legal. As long as the putter is legal (80*) and you're abiding by the rules of not anchoring/straddling your line, then holding the putter at an angle greater than 80* is not against the rule. Appreciate all of the insight. You mentioned extending yours to 48”. Has anyone done the opposite? I’m 6ft and ordered mine at 44” but am wondering if I might like it better in the 41-42” range. Feel like that might help me get more vertical and on top of the ball. I say do whatever works for you. There are several ways to get it done. If you cut it down 3 inches and decide you want to go back to the original length then you can just put an extension in. They are probably ten bucks. Really, it's the opposite. If the putter is shorter, you have to bend over more, and it is more difficult to see the line unless you really want a LOT of knee bend. I don't think you are going to like "on top of the ball"; it's more comfortable with the ball 6-8" out front and several inches out to the side as well. 44" is a good length for a 6' golfer, I think. One of the problems with side saddle, of course, is that you can't go over to Golf Galaxy and try out the putters, which can put you in trial and error mode. 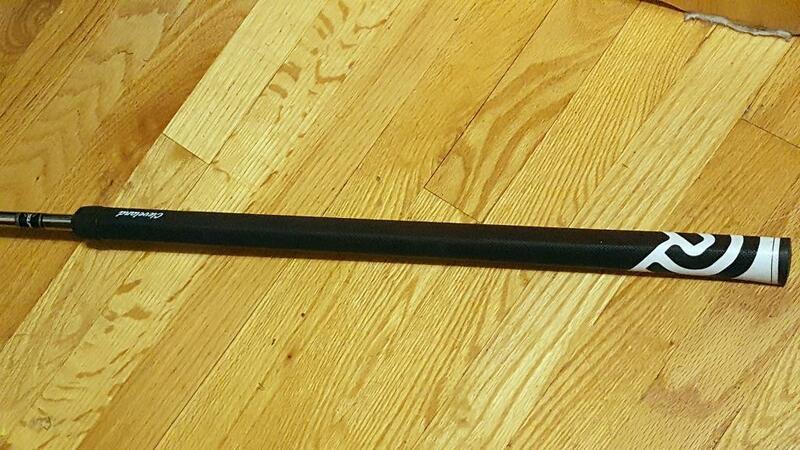 But fwiw, 44" is the length I settled on after starting a bit longer (46", I think?) and I'm a shade over 6' as well. I think this is one thing every sidesaddle putter needs to figure out through trial and error. I use to have an adjustable long putter. It could be adjusted any where's from 42" to 50". I didn't like it very much for course play - but when I was converting to sidesaddle putting it did allow me to experiment with a lot of different length variables while I putted on my carpet at home. I now regret having sold it, as it would be a great training aid for anyone thinking about converting. I am 6'0" and I use a 46" inch putter. 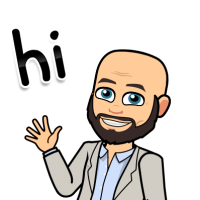 We need to get a bunch of us together sometime to compare methods and equipment, share tips. I've only been experimenting with it this summer so it could be fun and useful to meet and learn from other guys. I have only run across one other side saddle putter and that was an older guy in Mesquite NV. He was using a really long putter and was standing straight up and down. 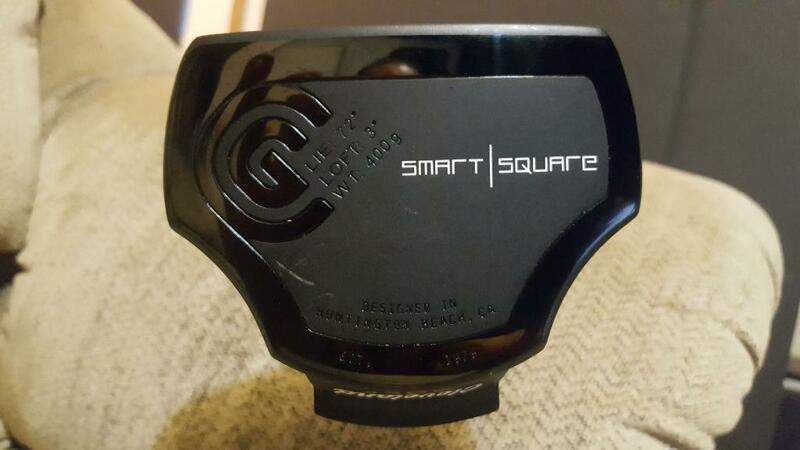 Any of you guys try the SmartPutter? https://www.smart-putter.com/ I kind of like the type of stroke it uses. Tried it with a Cure putter I have and it seemed promising. I have not tried it, and I haven't seen one except on the website. 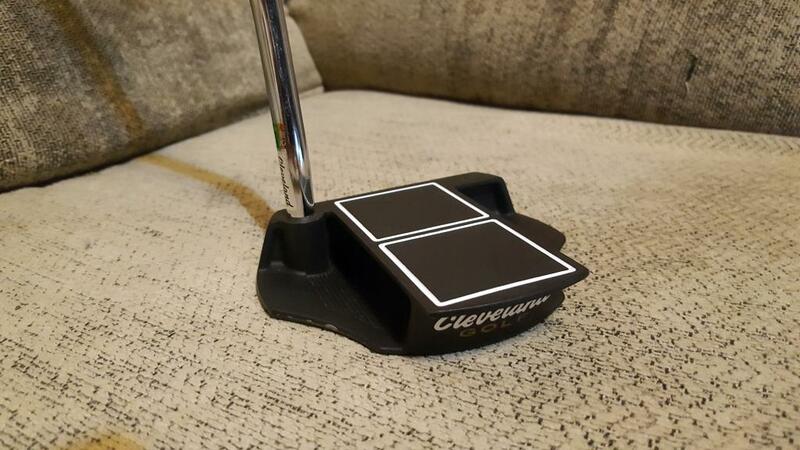 Two things sort of bother me about this putter and/or the website. One is that I don't see any specs for the putter, other than VERY general guidelines about shaft length relative to height. Nothing about weight, lie angle, or size. (FWIW, the putter head looks pretty small in the pictures, at least relative to the golf ball, but that could be a deceiving camera angle. But the other thing that REALLY bothers me is this statement: "A major challenge to alternative putting has always been compliance with the rules of golf. SmartPutter is the only forward-facing putter that is compliant with the rules of golf and legal for play at all levels of competitive golf worldwide. SmartPutter compliance is authorised in written approval from the Royal and Ancient Golf Club of St Andrews in association with the USGA." 1) Putter head looks small and too light for my tastes. 3) Their statement (in the Q&A) that a single length will fit most golfers and so don't worry about the length of the shaft is a crock. That's key for most of us SS putters. SInce they say you would need to adjust at your local club maker - they obviously aren't going to build this putter to someone's preferred specs. And while talking to Bobby on the phone, he asked me to make a little sidesaddle demo video for him to use with potential SS customers (just a quick front and side shot of me stroking an 8 foot putt). I'm going to try and shoot it this weekend. Cool! Let us know when that goes up on his website. And I agree 100% about the F-22; it's clearly the best of the putters I've used. And that's saying something, because I putted really well with both the JuanPutt and the Directed Force. Glad I spent the money. I am assuming the BG F22 you and other's use is the side saddle model? What do you like about it vs. the Juan Putt? One issue I have trouble with using the Juan Putt is getting putter soled so it is on the proper angle and squared up properly. 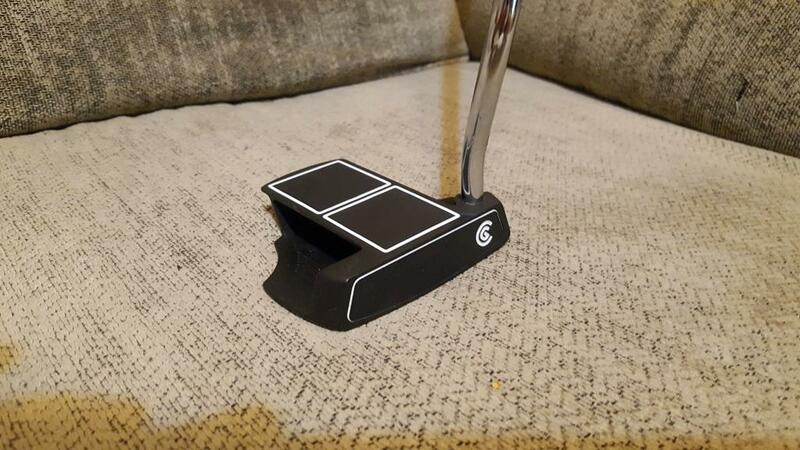 I suspect this is my issue, not the putter design, but I would be curious to see how the BG F22 compares. I have been side saddle for a few years. I will never go back. I started with and stayed with the Juan Putt. My method is essentially like Juan's video. Stand behind it, get the line. I sole the putter and hold steady with my top hand and take my stance. Put the right hand on (palm facing the target) and go. If I am hitting a few bad putts I have two check points:	First, I make sure the aim line is directly in the middle of the ball. I tend to line up a little right of the center of the ball for some reason. Second, make sure to fully release and follow through down the target line. I can get sloppy and saw off the follow through. 90% of my misses are to the right. I am 5 ft. 6in so I use Juan's shortest model, but am toying with trying something a few inches longer so I am not so bent over. I had good success right out of the gate. I hit a bad spot about 4 months in. I sold my 3 other conventional putters and committed 100%. Every year I usually run into a 3 or 4 round stretch where I struggle, but I quickly pull out of it now that I know what fundamentals to fall back on. As Bluedot said previously, really good golfer's are fascinated by it and ask great questions. Hackers and high handicappers are really bothered by it. With that said, I have not been able to convert anybody and my best golf buddy has a horrid case of the yips, but still wont' give it a go despite buying 7 or 8 putters in the time that I have been using the side saddle method. People just don't want to give it a whirl. I got over the stigma pretty early but it is probably the biggest road block, particularly when you struggle. Now I have fun with it and enjoy being the odd duck. 1) For me, I seem to be able to aim the F22 better than any other sidesaddle putter I've had. 2) I love the "rebound" insert. You almost can't mishit a put with the putter. My BG F-22 is on the way. You'll love it! 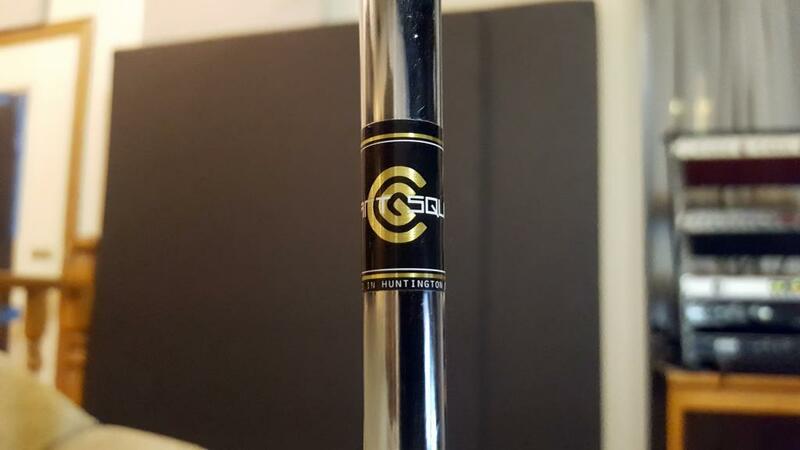 Did you get it with the "kick a**" shaft? Yes. 45 inches. I am 5 ft. 6 in tall so Bobby recommended this size. Almost a foot taller than my Juan Putt, but I don't anticipate much problems. It will be nice not to be quite as hunched over and I will be interested to see if I can see the line even better. One question for the group. Does anybody look at the hole/target when they putt? Wow. I'm 5'11' and Bobby recommended 41" for me. No wonder it feels a little too short. I look at the hole when putting conventionally but not SS. I really need to make sure I make good contact with square face. Occasional putts miss way left which I think is a face issue, esp if I hold putter more vertical. Now I make sure sole is flat but I need to get much more confident before i try looking at the hole. I was a little shocked it was this long. I am not sure how he would have misunderstood me. He did say if it was too long to just pop the top grip off and cut it down. I think length is less critical with this method than conventional but I do wish mine was a little longer. If anyone has a 43-44" F22 they'd like to get rid of, let me know! I don't think someone can know the right length just from their height. I think it's a personal thing and you just need to figure out what's comfortable and works for you. If you stood on a green and were asked to toss balls to a hole underhanded - how tall would you stand? That might be a good indicator. I'm 6'0' and use a 46" inch putter. Better to have a putter that is too tall to start as you can always cut it down. Can't go the other way! Good luck. SS is a great way to putt once you work out all you setup issues. I've just never been able to make the leap to looking at the hole. I've tried it on the practice green quite a bit, and have played a few holes that way from time to time, but I've just never gotten comfortable. I think all of the guys that teach face on consider looking at the hole to the PhD level of the method. But I'm probably too much of a control freak with too many years of looking at the ball. I've never been able to look at the hole while putting either. My compromise is that I do look at the hole while doing my practice strokes behind the ball. Then I walk up to the ball, get in my setup, take one final look at the and then fire. Mine is a hybrid, I look at the hole taking practice strokes, then I trace my line back to the ball and then stroke and follow the ball along the line. This was honestly the #1 reason I made the switch to side saddle. I never, and I mean NEVER, could keep my head still putting conventional. But that doesn't really matter when side saddle as long as my top hand stays steady. As for the length of the putter, its very personal in my opinion. I've used between 42-48" and I prefer the more upright stance the longer putter allows me to take, so thats what I've grown most comfortable with. I started the method using a 42" and I putted just as well with it, but being 6'2" it just hurt my back practicing so I went a little longer and it made a huge difference for me. Thanks everybody for the F22 recommend. It arrived late Saturday. I decided to go cold turkey and use it Sunday morning with only about 10 minutes practice time prior to the round. I am 5' 5" and the putter is 45 ". I pretty much standing straight up with just a slight bend at the waist. I probably could cut it down a couple inches, but I putted so well and it felt so natural that I will probably just stick with it. The putter is just amazing. The feel off the face is like butter and as advertised, the few mishits rolled right out to the proper distance. My playing partners were even amazed at how easy the stroke look, yet the ball just kept rolling. I found it easier to aim than the Juan Putt, but I think this is mostly due to the longer length and seeing the line better. I do find it also easier to make sure that the putter is properly soled due to the head not being a solid body like the Juan Putt. You can see by the shadows inside the putter when it is soled properly. It is a beautiful putter and the balance and ease of swing is really impressive. I did not have a 3 putt and made all of my putts inside of 5 feet. I had three long lags right up to the hole. I missed a 8 foot par save as I hurried the swing and pulled the putt left. 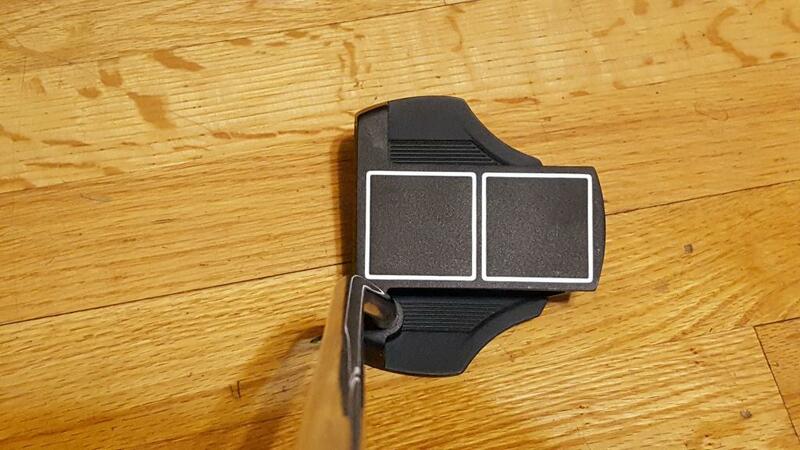 As other's have mentioned above, if you are going to switch to side saddle or are having issue, go to a longer putter and cut it down from there. I'm really glad you like it; it's a great putter. And I mean no disrespect in that to either the JuanPutt or the Directed Force putters that I used (and still own). I really like the Juan Putt and I am sure it would have been a great putter in a longer version. I putted really well with it from the start. Yeah Juan makes a great product. For me personally, the F22 is unmatched. BG makes some fantastic products. The feel on the putter and the roll off the face is just spectacular, plus its the easiest one to line up in my opinion. I love my BG F22 so much I bought another as a backup. I tried a Yes Sandy belly putter the last couple of days. I had cut it down to convert to a longer counterbalanced putter, so it was short of ideal for SS (based on this thread), although longer than what Snead used. It felt like cheating on 5-8 footers, binocular view was terrific. Loved the feedback seeing how the ball rolled. Tried straddling the line (vs on side) from the fringe (which is legal) and it was crazy good. Absurdly easy to put the ball on the intended line. I'm usually a good putter - already putt LH low and look at the hole inside about 10 ft which also provides some similar benefits, so not sure I really made more putts SS. You still have to make a good read. Here's an interesting thing...I mostly swing the putter with my low hand i.e. left hand. On shorter putts I go sort of gator with RH and legally mostly stabilize (but technically not anchor) the RH. So going SS felt funny on speed control, I assume because my feel is currently mostly in my LH. I already have a mostly one handed swing (cited benefit of SS is avoiding two hands coordination). I wonder how I would putt SS left-handed lol...just to use my "feel" hand? Wish I made the switch a long time ago. I recently played in a tournament where I wanted to give up golf afterwards. After hitting 16 greens in regulation and having 38 putts, I knew something had to change. After a couple of weeks of practicing ss with a cheap putter I got on Ebay, I played my first full round with it. 29 putts later (including 2 left an inch short), I was sold on this method. Distance control on long putts is the only real issue, but when you drain the 10 footer you left yourself, it really isn't that big an issue. The putter I got was a knock-off of the Odyssey Dart at 43" with and 80* lie angle. It doesn't feel very stable and off-center putts miss by a mile. So, I emailed Bobby about building one for me. He had an F22 with a couple of blemishes that he sold to me for a discount. I'm 6'0 and he recommended 40"-41". I went with 41". He's waiting on some more grips, but I should have it in a couple of weeks. I'll try to follow up once I get it and use it for a bit. The putter I got was a knock-off of the Odyssey Dart at 43" with and 80* lie angle. It doesn't feel very stable and off-center putts miss by a mile. Those 80 degree putters are often meant to be held like a pendulum, that's the concept of GP Putter and others. 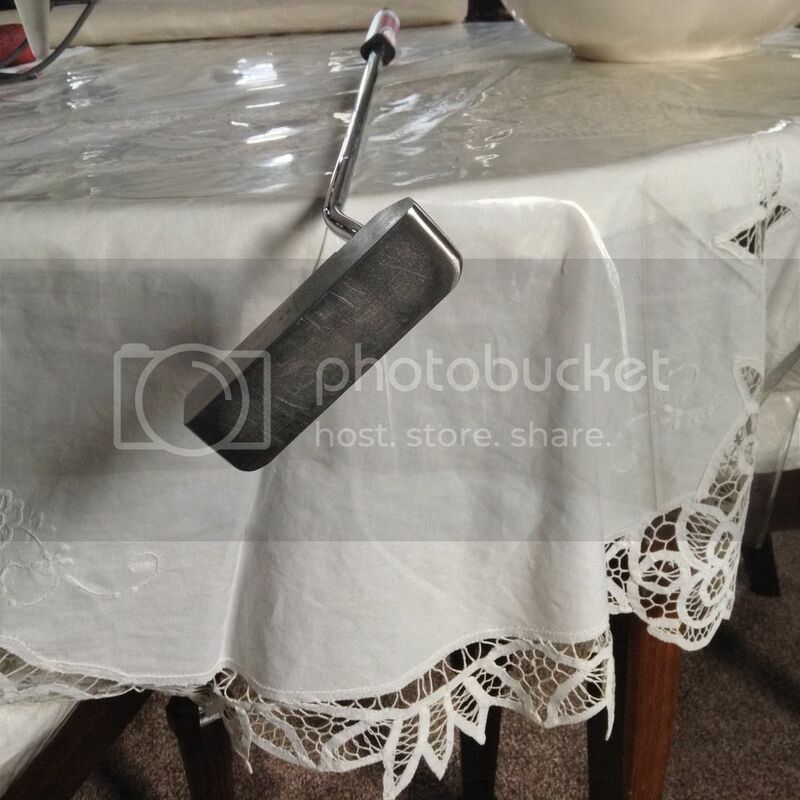 Your putter was put on table look angle. That's the one I was referring to. It's not face balanced (slight toe hang). But it's got a good weight to it, and I think it's good for getting your toes wet before diving into the deep end. Do you sole the putter flat and play at the 80 angle? Or do you try to let it hang at 90 degrees with the heel off the ground? I tend to miss a lot to the right when I let it hang, but the stroke feels so much better than when I try to sole it flat.